Come and join us in 2019 for great choral singing! $10 for students is all it takes. The choir is non-auditioned and caters for all levels of experience - from those that love to sing in the shower to professionals! 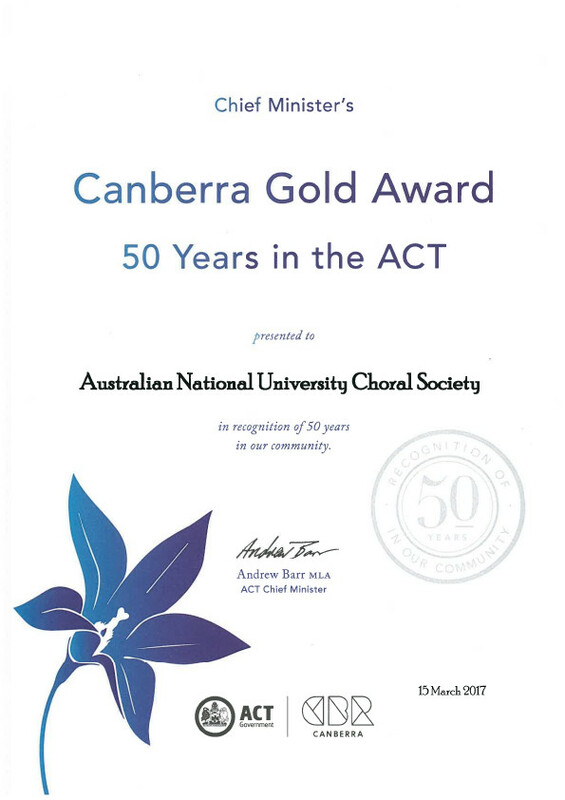 Members come from studen ts, staff, alumni, friends of the ANU, and the wider Canberra community. Rehearsals are Wednesday from 7-9:30pm in Lecture Theatre 3, Level 5, ANU School of Music. For more events, check out the events page.